Biogen has moved to acquire rights for a late stage compound which could treat potentially deadly strokes. Remedy Pharmaceuticals’ phase 3 candidate, Cirara (intravenous glyburide) is being developed for large hemispheric infarction (LHI), a severe form of ischaemic stroke where brain swelling (cerebral oedema) which often leads to a disproportionately large share of stroke-related disability and deaths. The FDA recently granted the drug Orphan Drug Designation for severe cerebral oedema in patients with acute ischaemic stroke, as well as Fast Track designation. New-York based Remedy will continue to contribute to cost of developing the drug, but Biogen will take over its clinical trial programme. The deal centres on a $120 million upfront payment, with further additional milestone payments and royalties, depending on the success of the drug if and when it reaches the market. The move is part of Biogen’s wider plan to build a portfolio of drugs which could help alleviate the massive burden of stroke worldwide. Each year approximately 1.7 million ischaemic strokes occur across the US, Europe and Japan, and around 15% of these are LHI strokes. In pre-clinical studies, Cirara has been shown to block SUR1-TRPM4 channels that mediate stroke related brain swelling. Clinical proof-of-concept studies have shown that Cirara can reduce brain swelling, disability and the risk of death in patients with LHI. “Building on our leading position in multiple sclerosis, spinal muscular atrophy, and Alzheimer’s disease research, we see a compelling opportunity in stroke where we can leverage our core expertise in neuroscience to make a major difference in patient care. Cirara represents a potential breakthrough stroke treatment that accelerates our efforts to build a portfolio of new therapies for neurologic diseases,” said Michael Ehlers, M.D., Ph.D., Executive Vice President, Research and Development at Biogen. 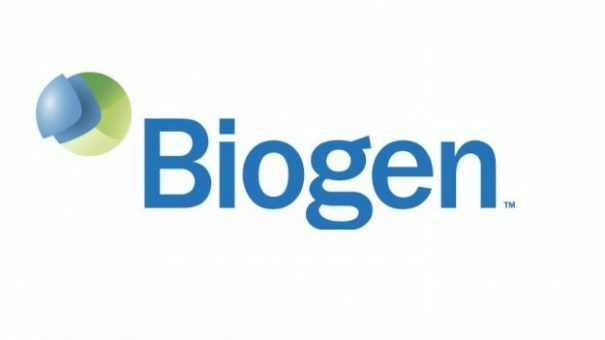 Biogen is currently conducting a phase 2b study of its monoclonal antibody natalizumab for ischaemic stroke. The company hopes the drug will show benefits in patients by limiting brain inflammation in the post-stroke period and thereby limit the damage caused by strokes, such as loss of limb control and speech frequently seen in stroke patients. However, finding new treatments to improve outcomes from stroke has proven to be one of the hardest nuts to crack in drug development. In 2014, Lundbeck was forced to abandon its candidate desmoteplase after it failed in phase 3 trials. Biogen has endured a rocky time over the last 12 months, its CEO George Scangos quitting last July after sales of its flagship Tecfidera began to flag. 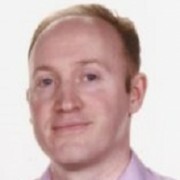 The company has had some encouraging early revenue figures from its newly-launched rare disease drug Spinraza, despite controversy about its high price. But the company still needs new drugs to help augment revenues from Tecfidera (dimethyl fumarate), which is facing tough competition in multiple sclerosis. New leader Michel Vounatsos has promised a string of mid-sized molecule acquisitions to help bolster its pipeline. One made already is the $300 million upfront payment for BMS’ BMS-986168. The drug is an anti-tau antibody for progressive supranuclear palsy (PSP) and Alzheimer’s disease. Biogen is also taking a gamble on the compound, which is now entering phase 3 development, as Alzheimer’s disease is notorious for its very high failure rate.